FREE WEBINAR - 5 Steps to make probate administration easy. Our cloud-based legal practice management software is a completely integrated solution, helping law firms to work more efficiently and profitably. 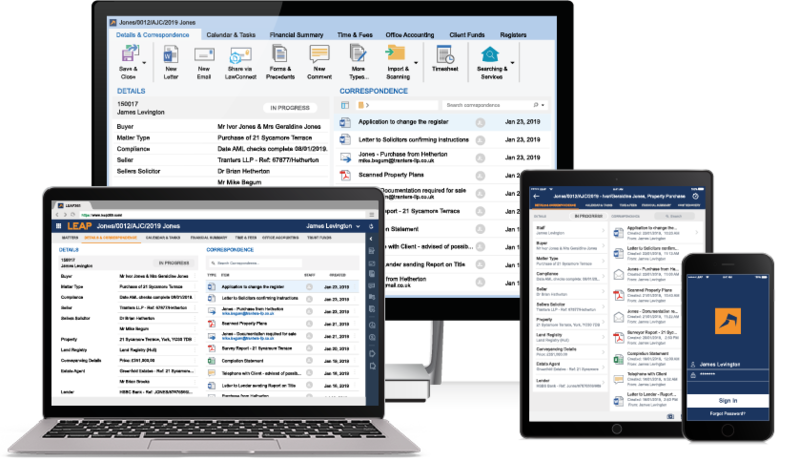 More than 13,000 law firms use LEAP software to help their clients. Software for all common areas of law. Integrations with leading technology partners. Make legal aid work profitable.